At All About Labels we know what cabinet makers need. You want the label to stick and stay stuck but then you want to be able to easily peel it off without residue. 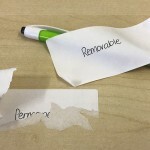 This makes it a tricky solution which is why we have two types of removable to choose from so you get the one that suits you. Just ask for our sample rolls to test. Once you have selected we will record that in our records so you get the same one each time. As a member of AWISA (Australian Woodworking Industry Suppliers Association) we have made our labels just for this industry. Whether you are in the cabinetry industry, joinery industry, a cabinet maker, a kitchen cabinet supplier, a shopfitting manufcaturer then we have labels for you. Our labels are compatible with all the popular design and nesting software solutions including CabMaster, Cabinet Vision, Pytha, EsyNest and EnRoute. We have roll labels to suit desktop and industrial printers or A4 laser sheets with a removable adhesive to suit laser printers. Common roll label sizes in this industry are 100 x 73, 102 x 48, 80 x 80, 80 x 50. For A4 label sheets the common number of labels per page are 1, 2, 4, 8, 14, 16. We are right now uploading a selection of label sizes etc so if yours isnt here dont worry we probably have it. Any questions just call or message us for help. designed to help you get the right labeling products for your business. All About Labels is Australia's best and lowest cost specialist labels supplier for the cabinetry industry. 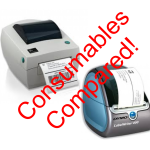 In this tutorial we look at the ongoing consumable costs of a standard commercial label printer (like a Zebra) to a more consumable label printer (like a Dymo). You may be surprised! In this tutorial we look at the upfront costs and the ongoing consumable costs of a standard commercial label printer (like a Zebra) to a more consumable label printer (like a Dymo). You may be surprised! Labels made by the Rock n Roll Royalty? Newsflash! Labels made by the Rock n’ Roll royalty? Cabinet label making and Rock n’ Roll ? What has the Beatles got in common with your humble white cabinet labels you probably use every day? Did you know most of the cabinet labels we make are made by Ringo “with a little help from my friends”. Let’s start by telling the story about how these labels are made. Why use a label printer over a laser printer? Well simply put it is cheaper and more convenient. See the facts.